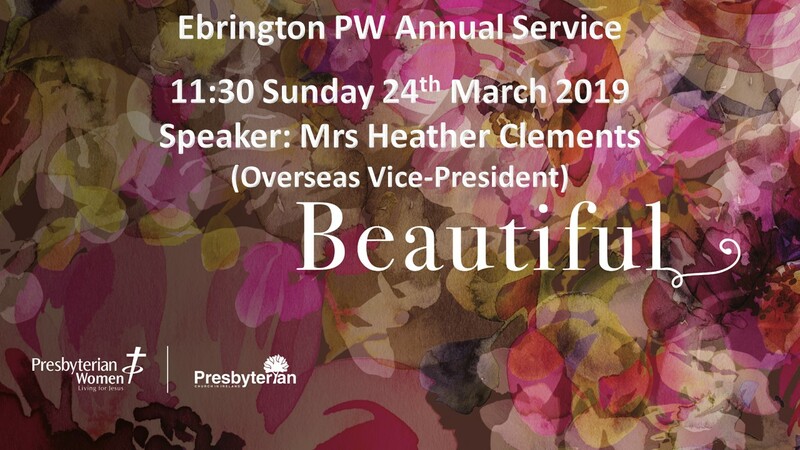 PW encourages women to become disciples of Christ and has been supporting mission in the Presbyterian Church both at home and overseas for over 140 years. We welcome women of all ages from within and outside our congregation. PW offers fellowship, friendship, encouragement and support through our programme of events – you are assured of a warm welcome at our meetings. Visit to Garden Centre and Meal? Ebrington has had a Ministry to Women for over 90 years. During that time it has evolved from being a purely Overseas Missionary Organisation to be one with a Ministry to Women in every place including those in our own neighbourhood.